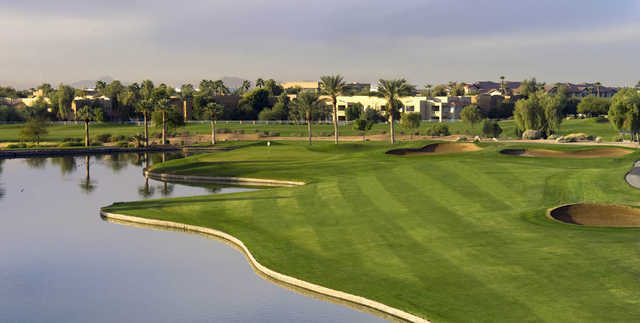 This Arthur Hills-design is located in the Phoenix suburb town of Goodyear. Massive amounts of soil were moved to make this beautiful course. Large "transitional" areas of decomposed granite are created to give a natural desert look. 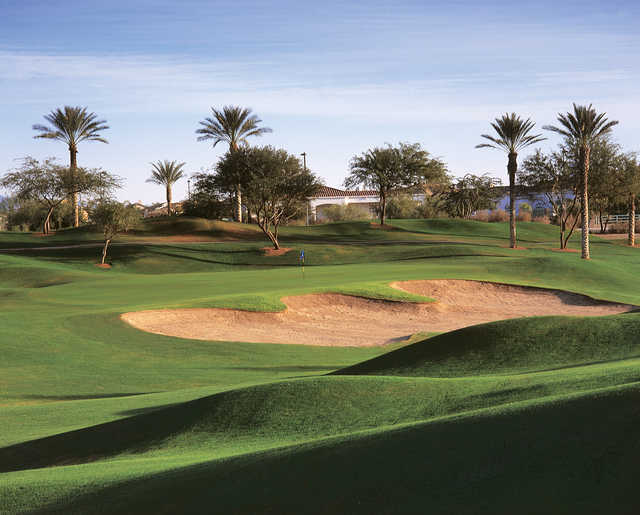 The signature ninth hole is a par five, situated near the course's 2 1/2 acre lake. The lake is located to the left of the hole and behind the green making the second shot difficult for those trying to reach the green in two. Dress code: Collared shirt required. Golf shoes or tennis shoes are required. 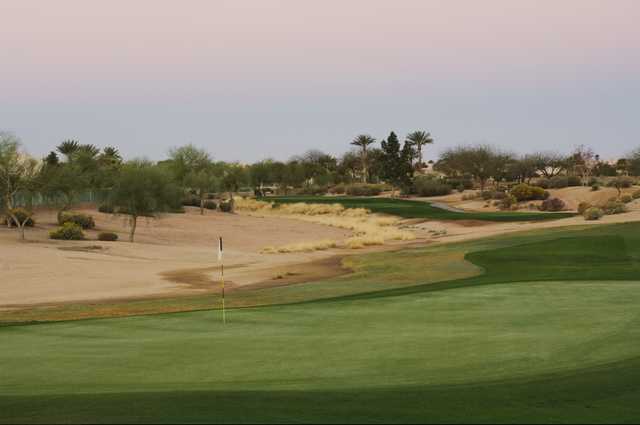 We have played here each of the last two trips to Goodyear and I would recommend to any golfer. Great staff, great course conditions and very affordable. I will keep playing every year we return to Goodyear. Just too many houses, some very bland holes, I did get my firse hole in one ever!!! but other than that there was anything to shout about. I prefer the shorter course, much more fun and challenging with your irons.